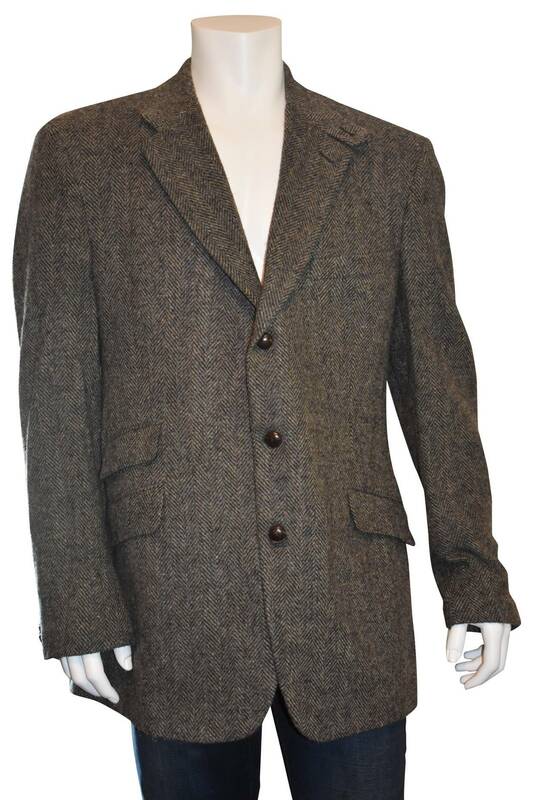 Barbour by Peter Elliott Hampton brown herringbone sports coat. 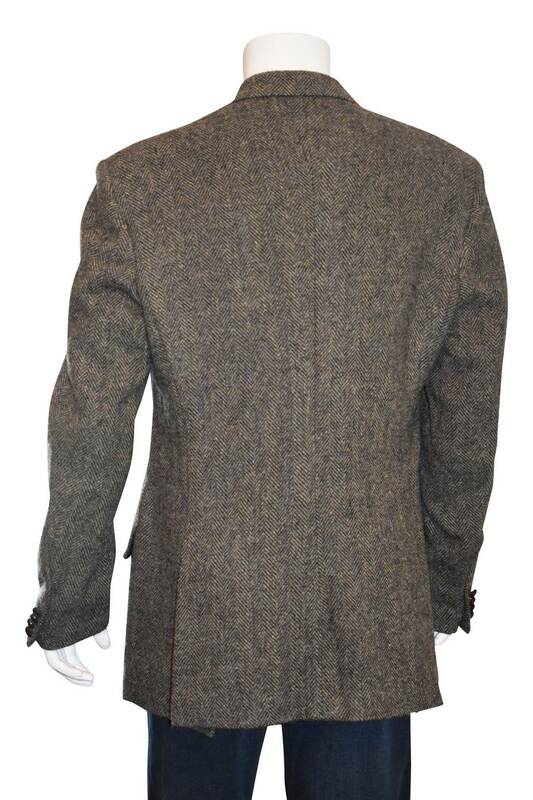 Notch lapels and single breast pocket. Two hacking pockets and one ticket pocket with dual flap vent. Three interior welt pockets. Fully lined. Front button closure.